Mexican food has been a big staple in the American diet since the early 1980’s – back when Chi Chi’s was a hotspot serving up enchilada and bean plates. So much has changed since then. 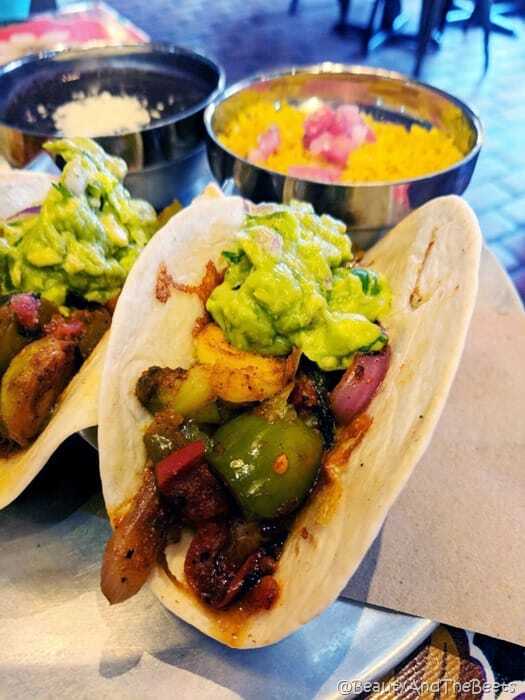 We now have fast casual restaurants where you can custom order tacos on the quick, and the term Mexican food is about as generic as Chinese food. Nobody wants generic. People want a more authentic dining experience without paying airfare and hotel costs. On a recent trip to Raleigh, I found a place for authentic cuisine based on the street food found in Mexico City. 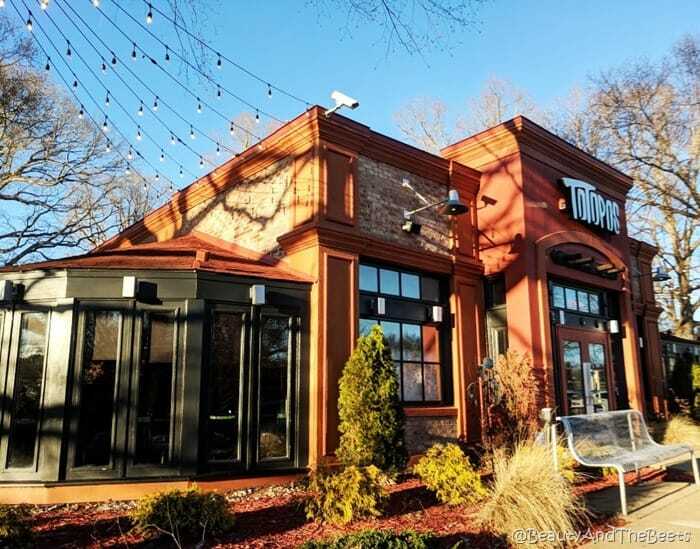 Totopos Street Food and Tequila is actually located in Cary, just outside of Raleigh with a second location in Greenville, South Carolina. The restaurant looks like an old Chili’s Mexican Grill but with more quirkiness in the decor. I can judge a Chinese restaurant by its egg roll, and a Mexican place by either the guacamole or the black bean soup. This time I went for the soup. 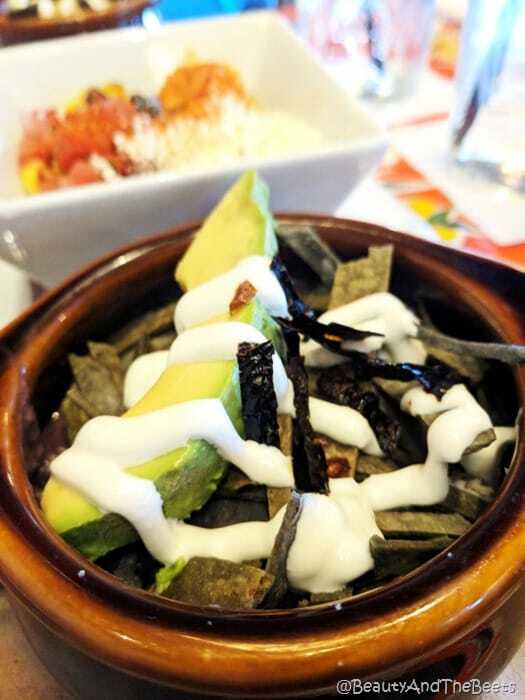 It’s listed on the menu as black bean cream soup – it’s a mix of cooked black beans and pasilla chiles topped with tortilla strips, avocado, and crema dulce (sweet cream). The soup was incredibly rich and hearty, so hearty that in fact I ended up enjoying it as my main meal. 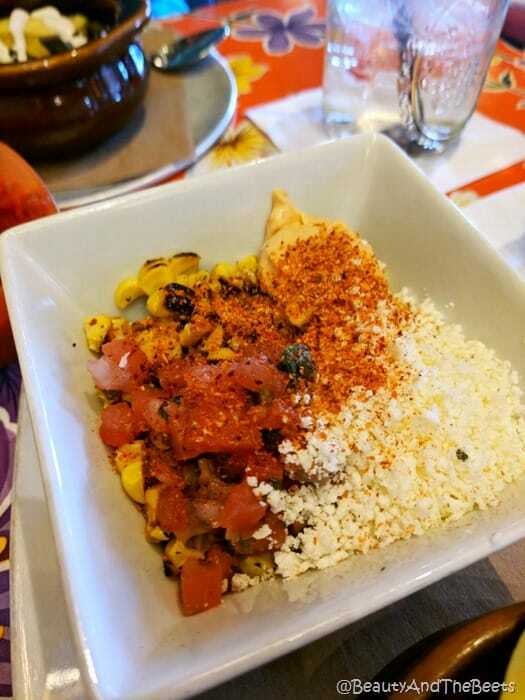 I also can never resist Mexican street corn, also known as esquites. 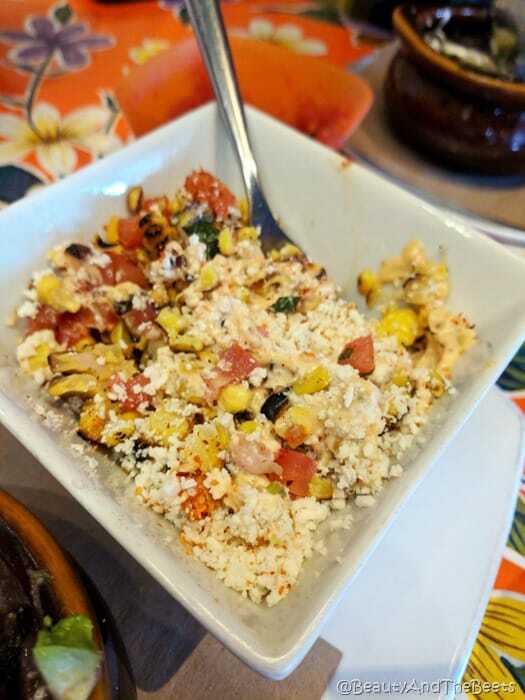 The corn is toasted, then removed from the cob, then topped with lime juice, chipotle mayo, queso fresco, tajin (a seasoning made with chili peppers, lime, and salt) and espazote herb, an herb unique to Mexican cooking. I was not a giant fan of the chipotle mayo – it was too mayo-ey if that makes sense. However, it was a giant portion so it easily shareable with Mr. Beet. Mr. Beet was hungry so he ordered the Vegetarianos taco platter with rice and beans. We only learned after we ordered that the black beans were not vegetarian. We made the mistake of assuming since we were ordering a Vegetarian taco dish that we would be notified that the beans were not veggie friendly. But I have a friend who is a very strict Vegetarian who tells me you ALWAYS have to ask, never assume. Our mistake. And what was worse, upon the server learning that Mr. Beet could not eat the beans, he did not offer any type of a replacement. Something we would not have expected to be complimentary, but we would have at least appreciated a suggestion in place of the beans. 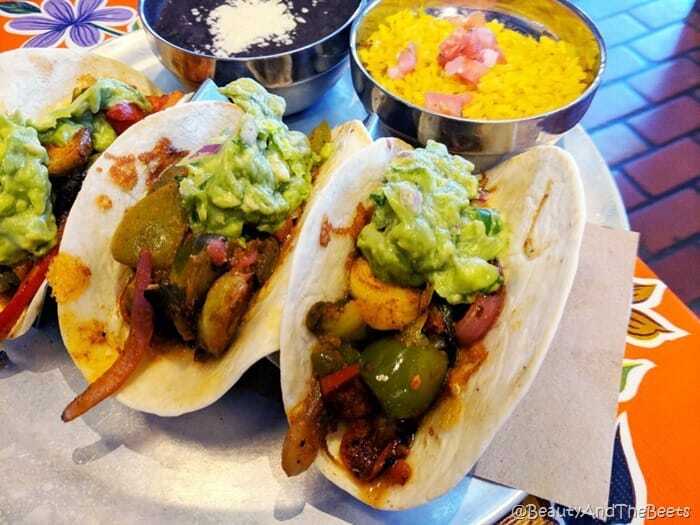 The tacos were a nice mix of sautéed vegetables including peppers, onions, and Brussels sprouts topped with fried cheese, pico de gallo, and guacamole. Lucky for Mr. Beet, three tacos filled him up and he was happy. We didn’t take advantage of the full bar but there is a huge menu of tequila offerings and tequila flights in addition to standards like margaritas and sangria. We will save that for next time when we are not working! All in all I enjoyed Totopos. Both Mr. Beet and I agreed the black bean soup was the star of the meal. Four out of five stars.